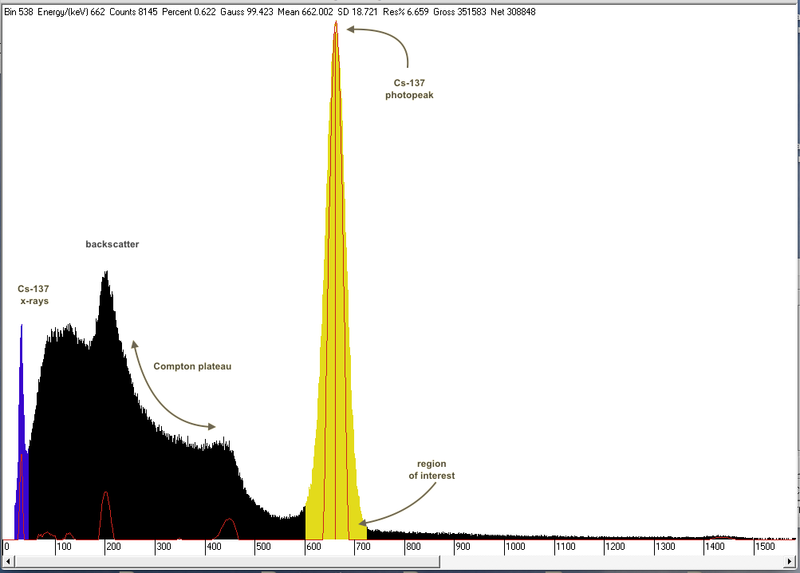 This spectrum was taken from a 1 µC 137Cs check source, using a GS-1100-PRO with a new 2 x 2" Gammaspectacular detector and PRA software. The 32 KeV x-ray peak and the 662 keV gamma peak are very obvious, and as there is a good spread between the peaks, this source makes for a good calibration source. Note the area between the peaks, showing Compton the Compton continuum and the back scatter peak at around 200 KeV.